Did you know that May is Better Sleep Month?Now you do!Thanks to the Better Sleep Council.They care for us don't they! ?For more than 15 years, the Better Sleep Council has declared that May is Better Sleep Month and this year their theme is relationship. In addition, they conducted a recent Better Sleep Month survey that revealed more than half of Americans are unlikely to take some basic steps to improve the quality of their sleep. To promote “better sleep between couples”, sleep expert Pete Bils, from Select Comfort, offers tips: Nine Out of Ten Couples Compromise on Comfort. 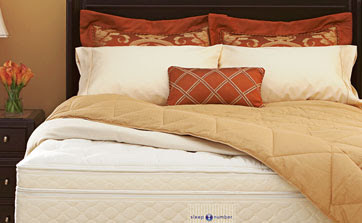 Plus, Select Comfort is having special deals on beds and bedding accessories in honor of Better Sleep Month. To check out the deals go to sleepnumber. Many thanks to the Better Sleep Council for caring for our health,now the ball is on our court!Check out those tips and lets start enjoying our sleep.